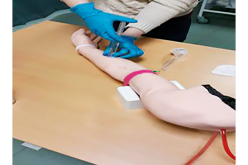 Arterial lines are routinely used for hemodynamic monitoring and blood sampling for physiological monitoring in patients at risk of deterioration in the operating theatre, critical care and emergency department settings. While widely recognised to be a safe device, knowledge of anatomy, procedural skills and awareness of safety issues are vital to reduce the risk of harm to both patient and operator. High profile episodes of harm in recent years[i] have increased awareness of the patient and operator safety, yet despite this no national guideline exists that covers all areas of arterial line safety. Surveys of practice have identified a wide variation in knowledge, practice and guideline usage across services routinely using arterial lines[ii]. This article considers the types of line in use and describes the accepted operator and patient associated risks. There is a wide spread of evidence across different guidelines that applies to arterial line safety – this article attempts to pull some of these together into a single source for reference. 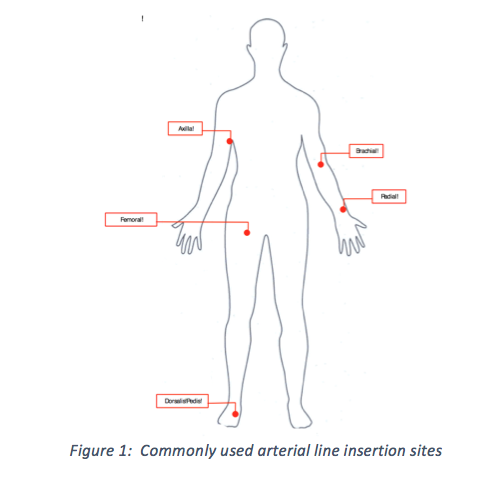 Common indications and examples for arterial line insertion are shown in Table 1. Radial artery placement is the usual first choice in the majority of patients and has the advantage of reliable anatomy, superficial location, easy palpation and visibility under ultrasound (if used) as well as suitable caliber in the majority of patients, excluding small infants. It is however, more prone to occlusion and haematoma formation compared with other sites. Femoral insertion is frequently used, if radial or brachial catheterisation has failed, or is unavailable. This has the advantage of larger caliber and reliable anatomical landmarks in all age groups. Further advantages include the potential to exchange lines at this site for other access devices e.g. for interventional radiology or peripherally invasive continuous cardiac output monitoring. Femoral artery catheters are also thought to be less easy to accidentally displace compared to other routes[iii]. Significant disadvantages include deeper course compared to the radial and brachial arteries and possibly higher risk of local and systemic sepsis (see below). In obese patients excess abdominal tissue may obscure landmarks and lead to additional tissue overlying the point of insertion increasing the difficulty of insertion. Furthermore, in the operating theater setting, access to the line site following surgical preparation and draping of the patient can become challenging. The brachial artery lacks the benefit of collateral circulation and therefore is commonly felt to have the risk of significant distal limb ischaemia if the artery becomes occluded. Although case reports of this can be found in the literature, ischaemia is often associated with larger caliber lines (e.g. transbrachial hepatic sampling) or high medical complexity of patients. A large recent study of 858 perioperative brachial artery complications showed only 3 complications and no statistical difference in complications between radial and brachial arterial catheterisation[iv]. The brachial artery lies in close proximity to the median nerve. One small case series looking at brachial catheterisation reported a median nerve damage rate of between 0.2 and 1.4%, although this was with wide bore catheter use[v]. Dorsalis pedis insertion is occasionally used due to easy superficial location and simple access. However, this pulse if often challenging to palpate or ultrasound in the haemodynamically compromised patient, and measured pressures may not accurately reflect cardiac output due to distance from the central circulation and possibility of the limb resting significantly below the level of the vital organs. Ulnar arterial catheterisation is rarely undertaken in anaesthetic practice. While there is published evidence of ulnar artery catheterisation for percutaneous coronary intervention[vi], due to a higher complication rate of ulnar artery access many patients were treated with antiplatelet therapies, anticoagulants and or vasodilators following puncture which would not normally be possible in most critically ill patients. Routine anaesthetic and critical care doctrine would be to avoid the use of the ulnar artery for catheterisation unless no other safer alternatives exist. 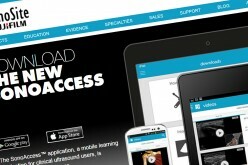 In selecting an insertion site, the role of ultrasound should be considered. While radial, femoral and brachial pulses are all easily palpated, ultrasound, which provides the ability to assess patency, depth, direction and caliber of any chosen vessel is becoming better established in increasing first pass success rate, reducing complications and increasing the speed with which lines may be placed, especially in complex or haemodynamically compromised patients[vii]. An ideal arterial catheter for monitoring and sampling should be short, stiff, with parallel walls and a microscopically smooth surface. These features will lead to minimal damping of signal, low resistance to flow, minimisation of thrombo-emboli and minimal biofilm formation (the first stage in catheter-related blood stream infection). An ideal arterial catheter would be rapidly and effectively secured once inserted. The system would also be highly safe to both the user and patient with minimal risk of sharps injury, biocontamination of the sterile field (e.g. from patient blood) during insertion and low risk of blood splash onto the user. The system would be clearly identifiable and visually different to venous systems, simple to insert, set-up and maintain, with a closed sampling port to minimise risk of biocontamination to user and patient and eliminate the chance of inadvertent injection. 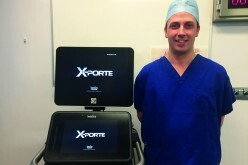 Any ports should have minimal dead space to conserve patient blood and easily remove flush contamination of samples. There is a broad range of different types of catheter available in the UK and while none fulfil every single characteristic above, many types of device do cover the majority of the above requirements. Commonly available catheter types include: simple non-port cannulae (e.g. 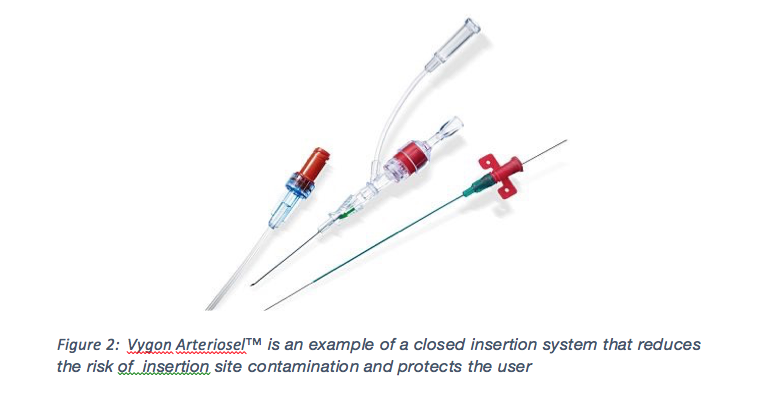 Hospira Abbocath™-T catheter), portless cannulae with inline “on/off” switches to prevent flow (e.g. BD Arterial Cannula with Flow-Switch™, and non-port catheters designed to be inserted using the Seldinger technique (e.g. Vygon Laedercath™). While the simple non-port cannula meets the majority of the required characteristics, hazard to the user from sharps injury, blood splash as well as biocontamination (contamination of the insertion site due to blood left on skin after insertion) remain. This issue is partly addressed by “switched systems”. It is the author’s opinion that Seldinger insertion techniques add the reliability of a confirmed arterial puncture prior to advancing catheter into the vessel. 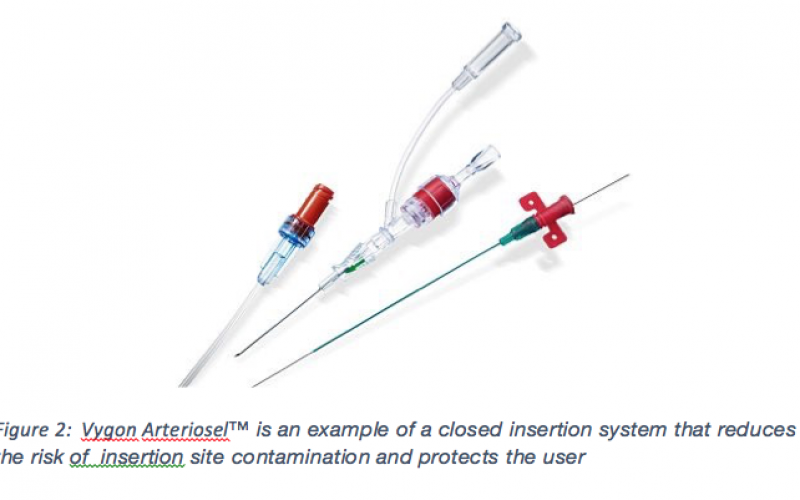 The disadvantage of biocontamination of the sterile field and risk of blood splash to the user can be reduced by minor modification of equipment (e.g. addition of a 1ml syringe barrel to the puncture needle)[viii] or use of specifically designed “clean insertion” systems which eliminate any significant contamination of the insertion field or risk to user from arterial splash. Although major complication rates via either radial and femoral routes are reported to be less than 0.1%[ix], this does not include “minor” and no harm events or near misses, which are less commonly reported in incident reporting, coding or published literature. Risk factors associated with a higher rate of complications include: higher ASA grade, insertion in emergency situation, use of vasopressors and longer duration of insertion (>4days). Complications are also more common in patients with comorbidities including diabetes and peripheral vascular disease. “Minor” complications include bleeding (either at or after insertion), haematoma and “temporary arterial occlusion”. It is generally accepted this represents transient occlusion that results in no serious harm to the patient. The rate of temporary occlusion is reported at around 19-20% of radial artery cannulations and 1.45% of fermoral artery cannulations.x Bleeding and haematoma formation are common complications but relatively easily managed. However, only limited research has been conducted to correlate these complications with subsequent more serious subsequent complications. In a meta analysis of 19,617 radial, 3,899 femoral and 1,989 axillary insertions, Scheer et al[x] noted that the radial artery site was associated with a higher frequency of minor complications including temporary arterial occlusion and haematoma formation. Rates reported varied between between 14% and 20%. Major complications including permanent arterial occlusion and pseudoaneurysm were 0.09% which, although infrequent, are often associated with additional surgical procedures and required long-term management. Permanent arterial occlusion has been associated with digital ischaemia and necrosis, digital and even whole hand amputation. Pseudoaneursm can lead to sepsis, rupture and extracorporeal pseudoaneurysm – all of which carry a significant burden of morbidity to the patient. The rate of infectious complication varies across sites and with the duration of insertion. Indwelling arterial catheters are associated with small increased risk of infection if sited in the femoral artery compared with other sites[xi]. There are clear guidelines available in the UK (“epic-3 guidelines) describing the best evidence for the type, insertion, and management of all indwelling arterial (and venous) catheters[xii]. Key principles in reducing the risk are effective education of professionals, use of care bundles and protocols covering the insertion, accessing and removal of devices. Aseptic insertion including the use of 2% chlorhexidine/70% isopropyl alcohol skin disinfectant, appropriate barrier precautions and minimal site contamination with blood are all recognised to reduce the risk of both local and systemic infection. Sterile, semipermeable dressings for fixing devices and strict adherence to hygiene and asepsis by caregivers accessing these lines also reduces risk. If a puncture site is oozing or bleeding, a simple gauze dressing should be used, changed regularly (to inspect site for ongoing bleeding) and changed to a sterile semipermeable dressing as soon as practicable once bleeding has ceased. Arterial lines should not routinely be changed; furthermore, if lines are resited, it is recommended that a new insertion site is selected and prepared as per “epic-3 guidelines”, catheter changes over a guidewire are not recommended in UK guidelines. 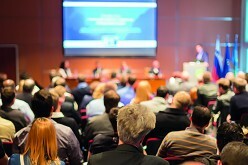 Although these guidelines are easily accessible, awareness of guidelines and compliance may be low. A recent survey on practice of US and Canadian ICU practitioner’s compliance with the Center for Disease Control and Prevention insertion guidelines (the US equivalent of epic-3) showed 44% compliance; this was in a self-selected group of individuals choosing to respond to an invitation to survey and therefore may overestimate true compliance[xiii]. Any system that can minimise contamination such as from inadvertent bleeding during insertion (e.g. a closed insertion system) or access (e.g. 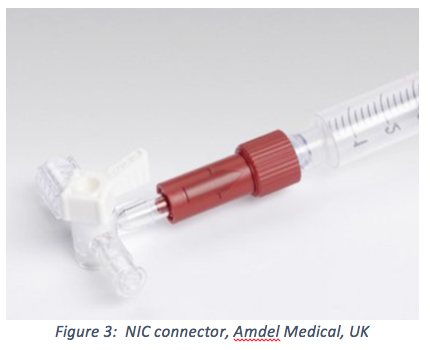 via needle-free non-injectable connectors [NIC]) also reduce risk[xiv]. Teflon coated devices have a lower incidence of infection compared with other types of device – due to its low adhesion for E.coli and Pseudomonas and relative lower affinity to Staphylococcus species compared with other materials[xv]. Safety awareness culture in the care of arterial lines has been sculpted by a well publicised NPSA alert following a preventable death due to incorrect use of a dextrose containing solution in the flashing system of a line in 2008. In spite of excellent safety work following this event, more recent cases of sampling error leading to patient harm can be found in the literature[xvi]. 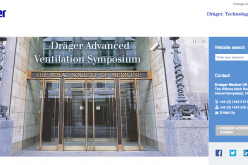 There is a wide variation in standard practice in the UK in terms of devices, connection systems, makes of pressure bag, open versus closed systems and the labelling of lines, fluids, connectors etc. This is well described in a 2014 survey of UK practice, which also showed low awareness of the intrinsic detail of their own systems such as dead space volumes. [xvii] Furthermore, almost 1/3 of units reported problems relating to fluids or sampling errors which had occurred in their ICU settings. It is reasonable to assume that in other complex environments, such as the Emergency Department or Operating Theatre setting, similar errors could, and are likely to have, occurred. Other potential failures inherently presenting a risk in the use of arterial lines include catheter fracture, transducer misplacement and failed calibration. A wide range of safety standards exist in the UK, ranging from National Patient Safety Agency (now merged with the NHS England) Rapid Response reports, to specialist association guidelines such as the Association of Anaesthetists of Great Britain and Ireland, and regional and local guidelines. These guidelines may cover specific aspects of arterial line safety, such as fluid choice and safety, or more general aspects such as global care of arterial lines. 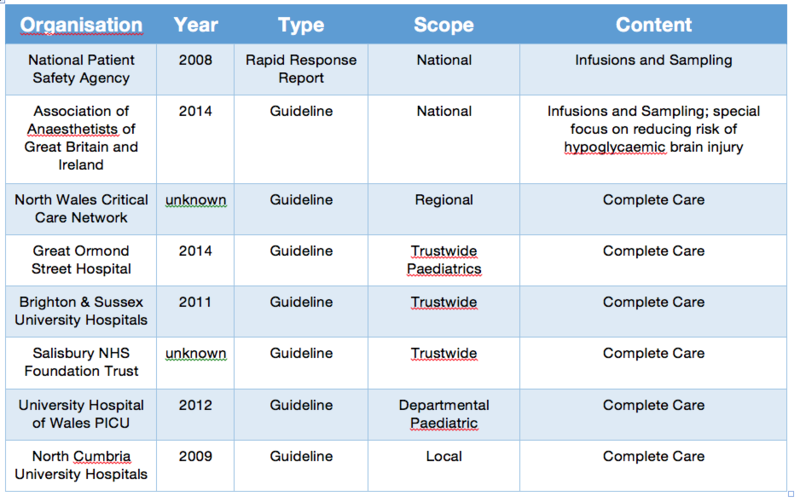 Specialist settings such as paediatric services, or critical care environments may also have departmental guidelines. Most of these guidelines overlap, at least in part, in terms of the evidence used for reference. There are also significant differences in preparation, ethos and aspects of the care covered. The NHS is a sector that regularly rotates workforces; junior doctors often rotate through multiple departments, hospitals and regions, agency staff work in multiple hospitals and settings. There is therefore significant scope for confusion and application of varied practice in a range of settings as well as the possibility that staff may not always be aware of policy applying to their setting. It is therefore the author’s opinion that a general guideline from a national organisation would have significant potential to further enhance and increase safety of patients whose management requires insertion of an arterial line. Patient safety and harm reduction are of increasing importance in a cost constrained healthcare environment. Although generally recognised as safe, small adjustments, changes in operator understanding and use novel technologies (ultrasound, blood free insertion and sampling systems) would also further increase safety for patients and staff involved in the insertion and management of these devices. 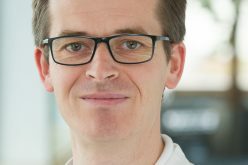 In spite of excellent work in recent years aimed at reducing some of the risks associated with peripheral arterial cannulation, more work could be done; a broad scope national guideline bridging the available evidence and multitude of guidelines in existence may reduce variance in practice and improve safety. [v] Kennedy AM, et al. Medial nerve injury: an underrecognised complication of brachial artery catheterisation? J Neurol Neurosurg Psychiatry. 1997; 63: 542-546.